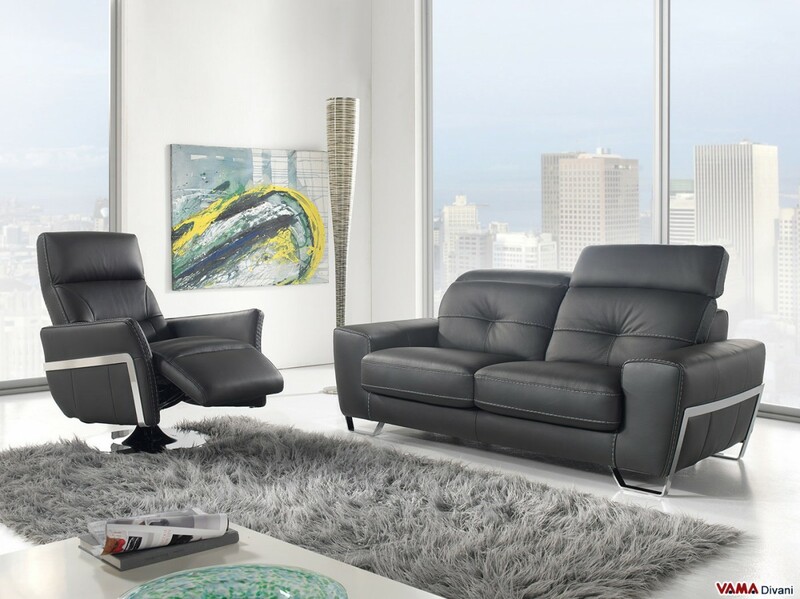 Contemporary sofa with a strong structure and a typically contemporary design, it is very comfortable thanks to its comfortable and adjustable headrests. 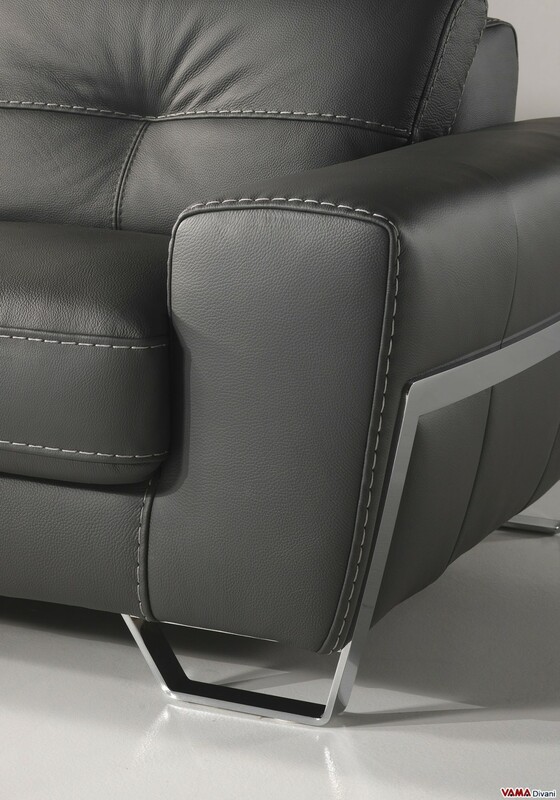 Different details, such as the showy steel supports and the thick thread seams contrasting with its upholstery, make this contemporary sofa really exclusive, concerning style and design. 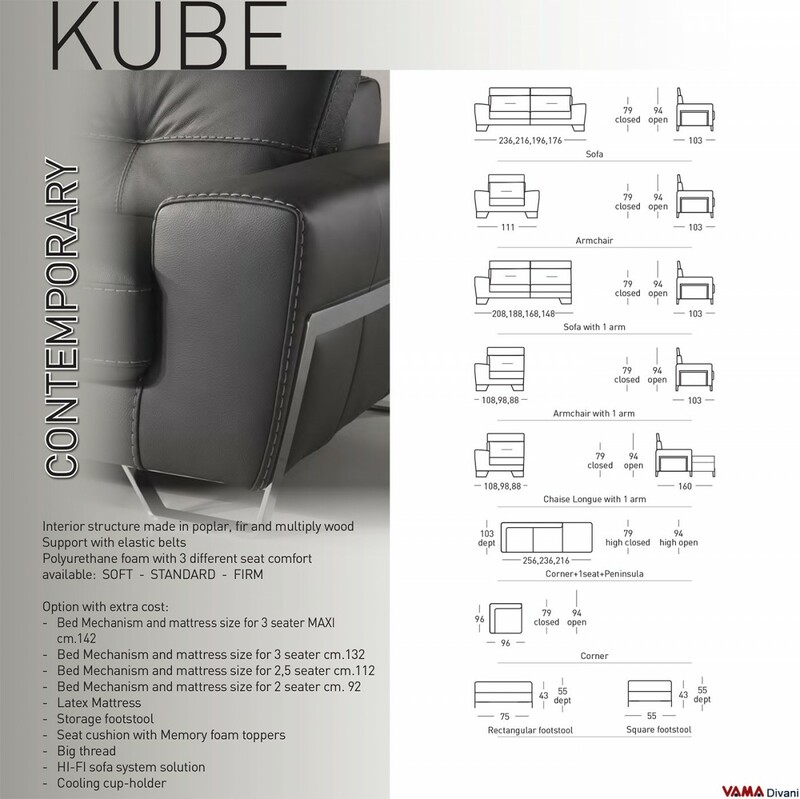 Kube is a contemporary sofa with a strong structure that presents an appealing modern style, characterised by pleasant geometries and large volumes. Many details make Kube a very special contemporary sofa, starting from the lovely thick thread seams that create a nice contrast with the dark colour of the leather upholstery, to the unusual steel feet with their structure which surrounds the whole side of the sofa itself. This reclining sofa offers a really excellent comfort, with its soft padding and its comfortable reclining headrests. 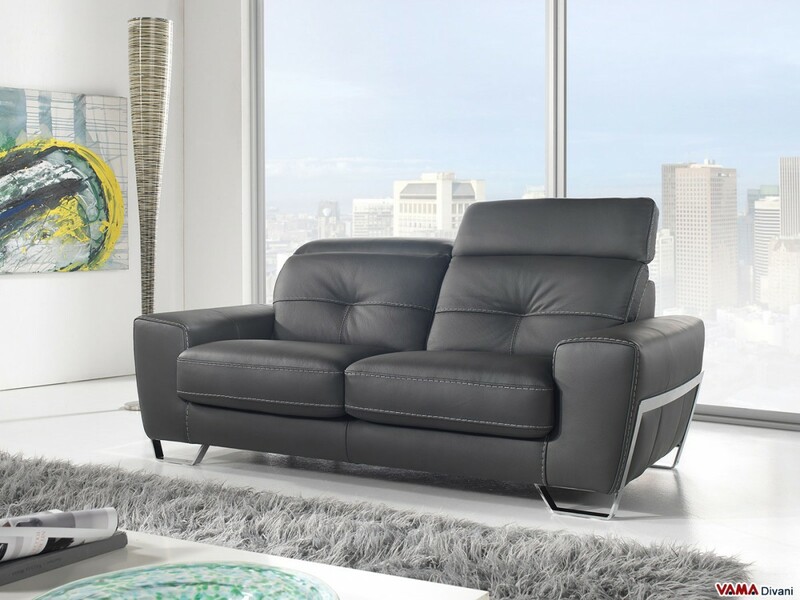 The elegance of this sofa combines well with many different styles of furniture, from contemporary styles to more traditional ones. This beautiful sofa is 216 long, but it is available and can be customised in any size.